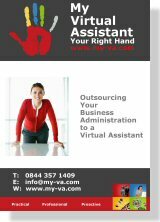 Setting Yourself Up As A Virtual Assistant is an exciting step but one which should not be taken without some serious consideration. 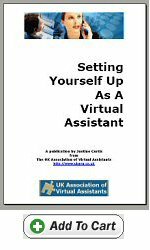 This guide is designed to raise some points you may not have considered and pose a series of questions you need to ask yourself in order to decide if setting yourself up as a virtual assistant is really for you. If you decide it is, what follows is a list of steps to help you navigate your way through this new alien self employed environment and put you firmly on the road to success. Outsourcing is a term often used in business and it is gaining popularity on the Internet as millions of business owners discover that they do not have all the tools and skills necessary to handle each and every function necessary to the efficient running of their businesses. Unlike having to recruit, interview, and take on an employee – and thus incur the tax and NI liability of a new employee, not to mention the additional costs incurred such as holiday pay, sick pay, maternity leave, etc – often savvy business owners turn to outside companies. Outsourcing services take on the tasks underlying a business leaving the owner more free time to pursue the front-end of his or her business. This guide teaches you what outsourcing is, how to make it work and how to choose the right outsourcing company for you and your business. Do you want to create your successful online business in record time? Tired of the 9-5 and want to run your own online business, but not sure where to start? Do you want to spend more time ‘having a life’ and less time trying to earn enough to support it? Do you want a flexible business that you can take anywhere and work when you want? Want to be able to run a business around your family? If you answered yes to any of the questions above, CLICK HERE FOR MORE INFO.